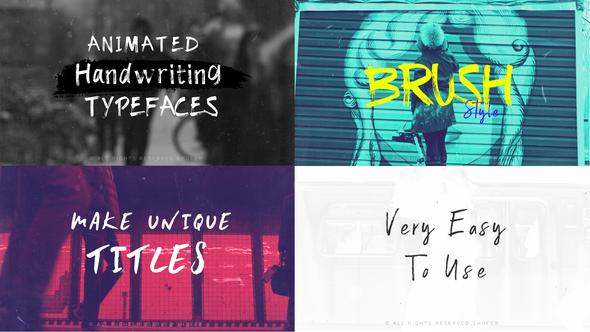 Brush Animated Handwritten Typefaces After Effects Template Project. With one click the Typer script automatically animates the text into the timeline. No need to drag and drop individual letters or manually animate each of them. This template can be used for titles, quotes, social media videos, Instagram stories, intros, openers, captions, or lower thirds.